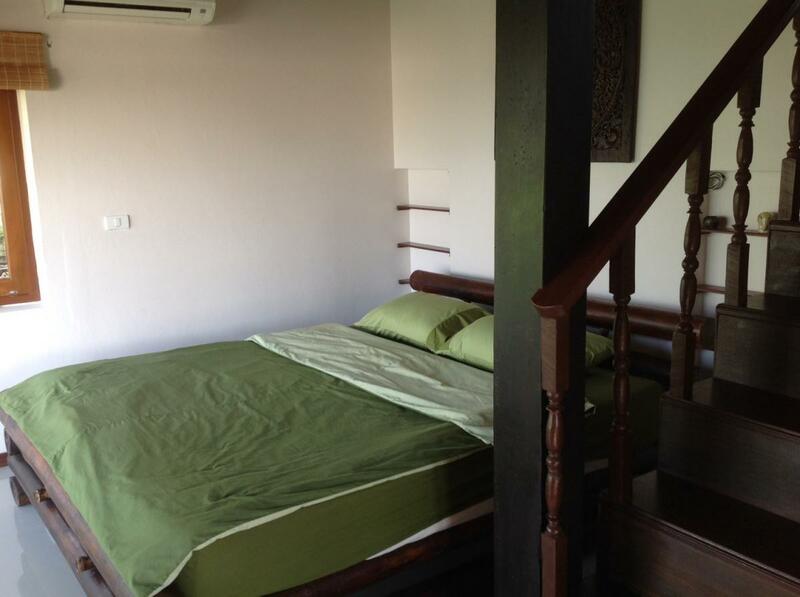 [Baan Siam is a 2 bedroom, 2 bathroom property on the island of Koh Phangan, Thailand. 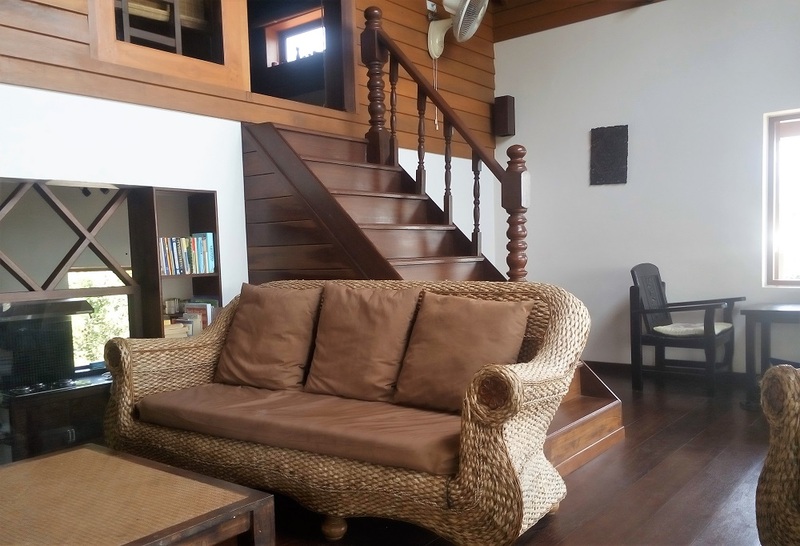 Take a tour of this beautiful, Sea View property where you are welcome for long-term or short-term rentals. Offering the style and comfort of a European home coupled with Thai design themes to create a light, airy holiday home which complements the natural environment. A great place to sit back, relax and take in the fantastic sea and mountain views. The large airy living room opens up onto a big sea view balcony. Sit and watch the boats go by, listen to the birds sing and enjoy the view! Enjoy the comfort of home and enjoy satellite TV with a full range of channels (including Sports & Children’s TV). The living room opens up onto the large sea view balcony with great views across to Koh Samui. There is a large dining table in the living area under the house. There are 2 smaller tables on the upstairs balcony. 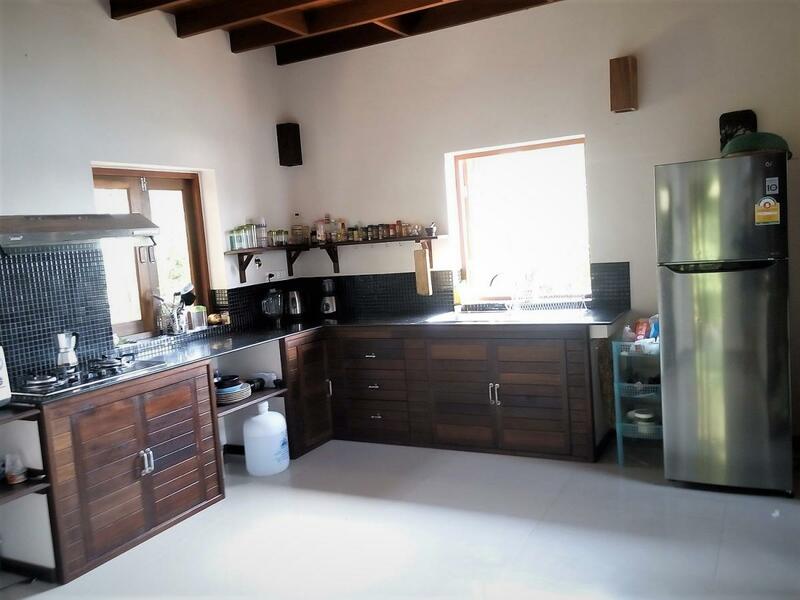 We also have a fully equipped kitchen to cover all of your basic needs for your stay. Baan Siam has 2 large bedrooms with King-Size beds. The master bedroom has an ensuite bathroom and a large sea-view balcony. The 2nd bedroom is located in the roof and has wooden floorboards and roof beams. Both bedrooms have air-conditioning. 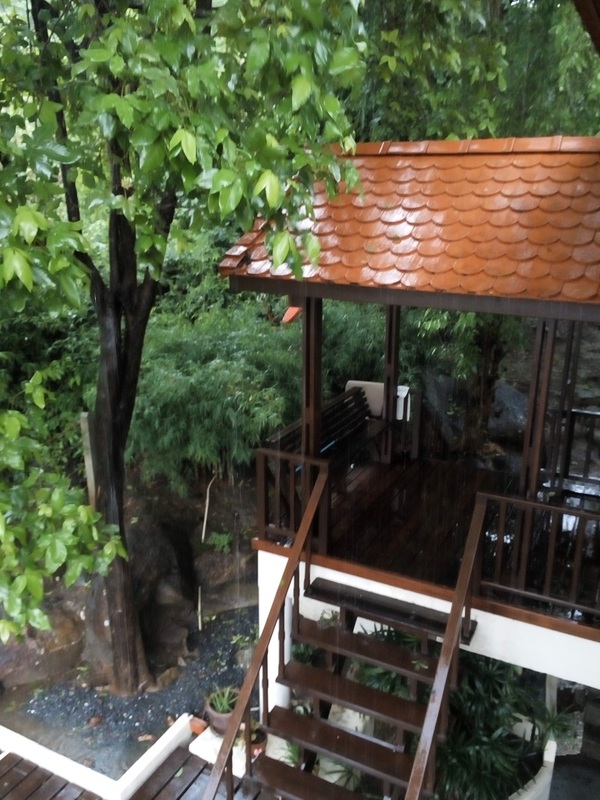 Baan Siam is surrounded by a large garden at both the front & back of the property. The garden is well tended and has different areas to explore and enjoy. There is lots of room for young children to play. We also have a sundeck where you can catch some rays. Inspired by the design of Thai houses and a wish to be cool when eating, we have added an eating area in a shady position underneath the house. You’ll also find a fridge and a small BBQ that you are free to use for al fresco dining. We hope that you enjoyed your tour! To book your stay with us, please use the link below to check our calendar for availability and to send us a message.